You need something with a splash of terracotta in to to go with your lovely cushion. I adore the first one. i agree with amber. love the first and 3rd. 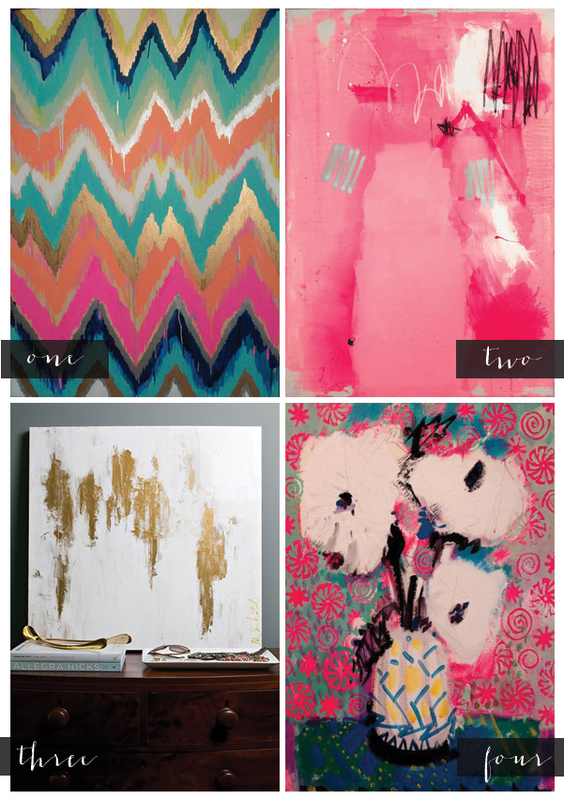 I'm loving your striped wall and your new (to me) blog header! thanks Chandra! That poor striped wall has been bare forever. Definitely time for some art! My favorites are most certainly one and three. I would love them for myself! Oh my gosh I LOVE your striped walls!!! SO pretty! Dude. 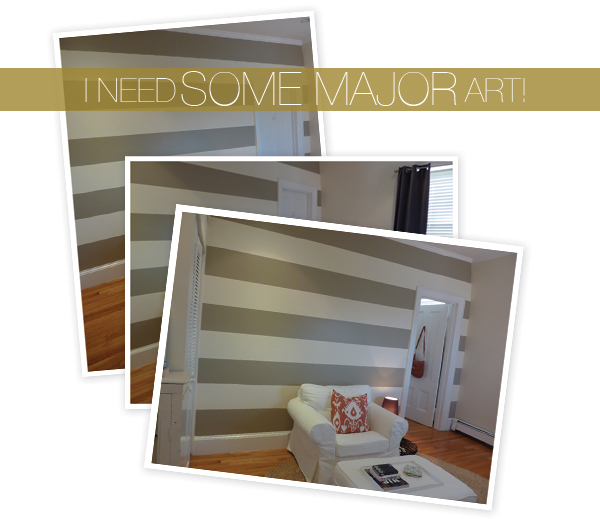 I love your striped wall (with or without art). If/when you look for something, def check out http://www.20x200.com/ (maybe you're already signed up). My biggest issue w/ finding a gorgeous piece is the cost of framing it.... never cheap, but when you're ready I highly recommend Frugal Framers in Waltham. Worth the drive. The guy is fast, good, and (more) affordable than spots in the city. ♥♥♥♥ e.
Thanks for sharing Erin. Your ideas are amazing, so fun and so cool. Now that I am wearing an engagement ring, I am super excited about planning the wedding, but first helping to plan an engagement party with my mom. We are definitely planning some of your ideas into our theme. You are awesome! I will be coming back in a bit, thanks for the great article.